Shaded relief bathymetry of the Endeavour Segment and off-axis half ridges. The image is illuminated from the southwest and has 3x vertical exaggeration. The color ranges from 1750 m (red) to 3000 m (blue). 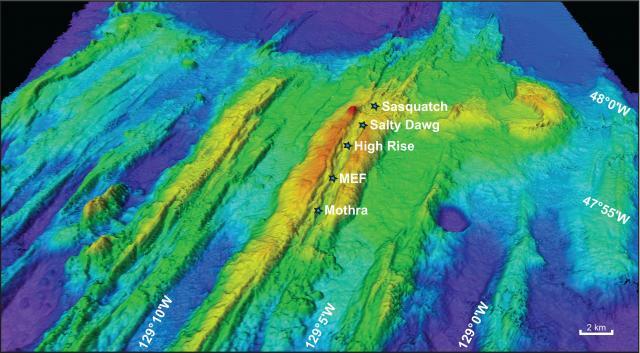 Hydrothermal vent field locations are indicated by stars.